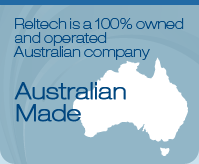 Be the envy of your friends and make a dramatic statement by installing a Reltech Sheer Descent waterfall. 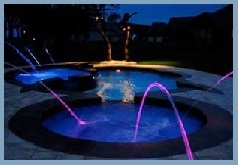 Add a unique look to your pool by installing your water feature with optional LED lighting. 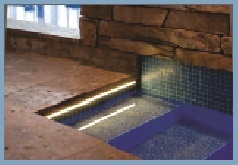 White LED Strip Light with Mounting Brackets for Pool Steps & Under Tile. Coping or existing Features. 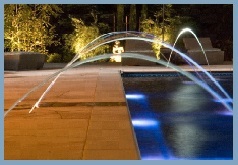 Other Sizes and LED Colours available on request. Please Contact Us for further information. 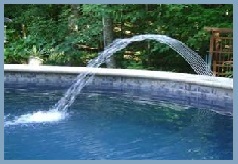 Project steady streams of water in an arc into the pool. 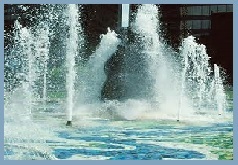 The flow and projection angle can be adjusted to create different effects. 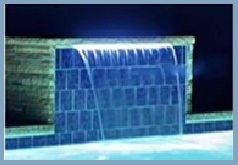 Can be illuminated with button lights mounted in the pool coping adjacent to the jet outlet. 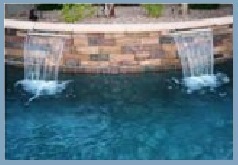 Wall Jets are a similar product but are designed specifically to be wall mounted.